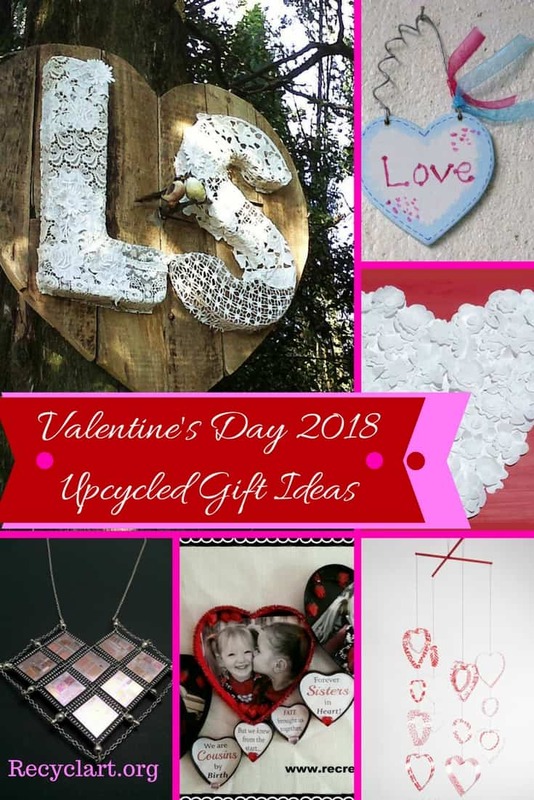 10 Upcycled Valentine's Day Ideas! 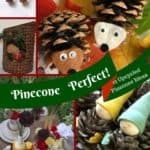 Show that exceptional person in your life you love them with a DIY gift straight from the heart! 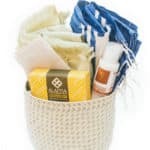 Make a DIY, Upcycled Valentine's Day present that saves money helps the planet, and makes someone feel great! Some of these ideas are perfect projects for the kids to show Mom or Grandma how much they love them! 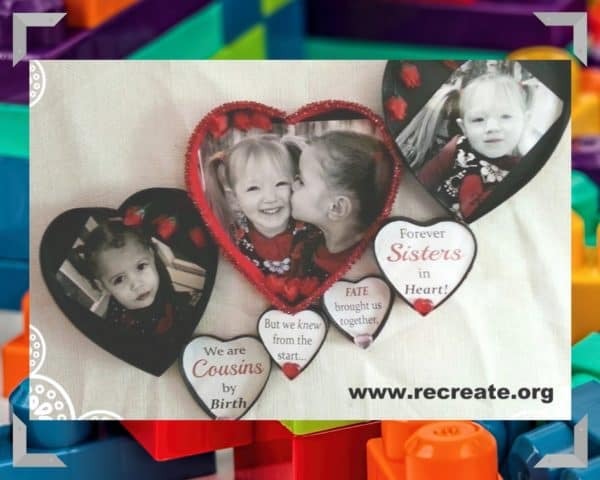 Make an Upcycled Valentine's Day gift for that special someone in your life! 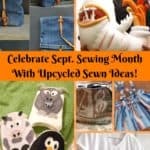 Upcycle cork, metal, glass and more while saving $! A toast to this idea! 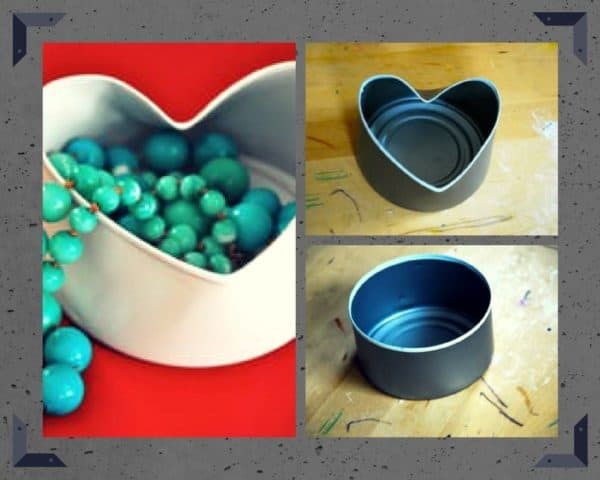 You CAN create this UNCANNY project with empty containers! Be sure to smooth over any rough or sharp edges. Wear gloves when handling sharp edges of the can. Upcycle any old can. Just be sure to use a file to flatten any sharp edges, or use a can opener that leaves smooth edges. Supervise the kiddies when doing this project for their safety. 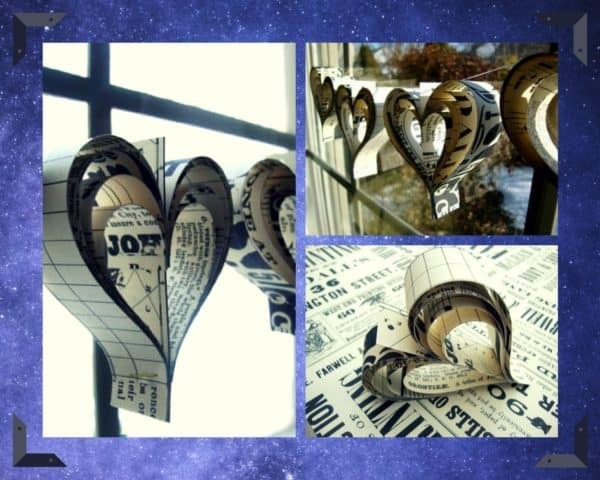 Assemble a gorgeous heart-shaped garland using upcycled paper of your choice. Surprise her with Valentine's decoration! Use decorative papers or upcycle those junk mail fliers and advertisements. 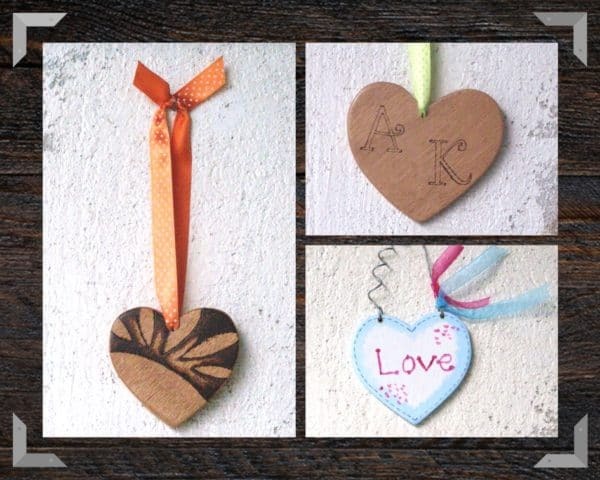 Carve Handmade Wooden Hearts. Use these as jewelry, decorate chair backs, wine glass charms, or anything else you want! If you do woodcrafting, use those scraps for this precious project! 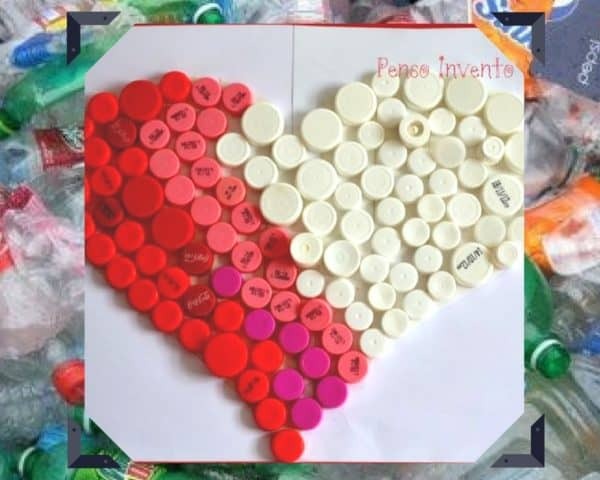 A fast project for the kids is this bright Bottlecap Heart. Make a more durable version with a thin piece of plywood and glue. 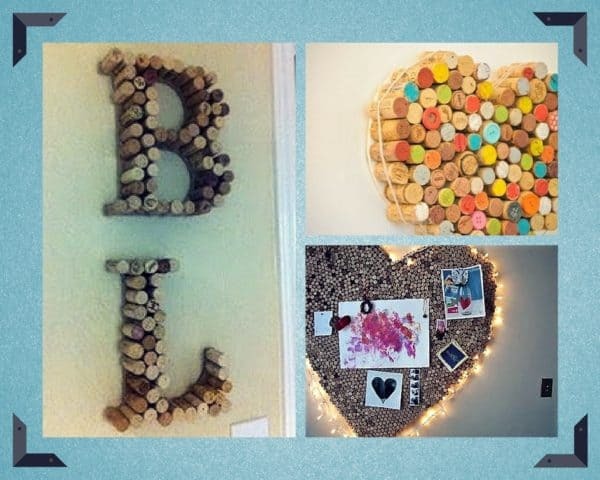 After you use those bottles, save the caps and make this creative heart-shaped wall art piece. This idea is an excellent project for the kids! 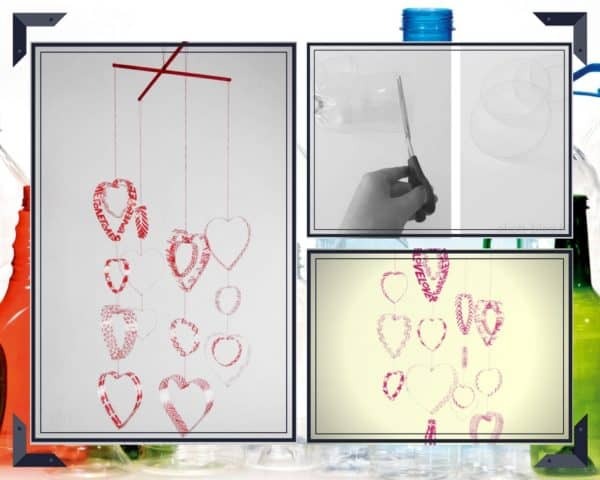 Make a Plastic Bottle Heart Mobile for indoors or outdoors! Another kid-friendly project after mom or dad supervises the cutting! Make a mobile from a 2-liter bottle. 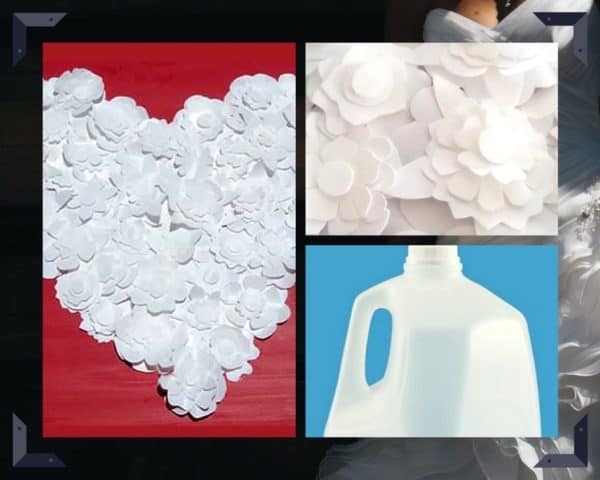 Turn milk jugs into 3-D Flower Art! Milk jugs never looked so stunning! 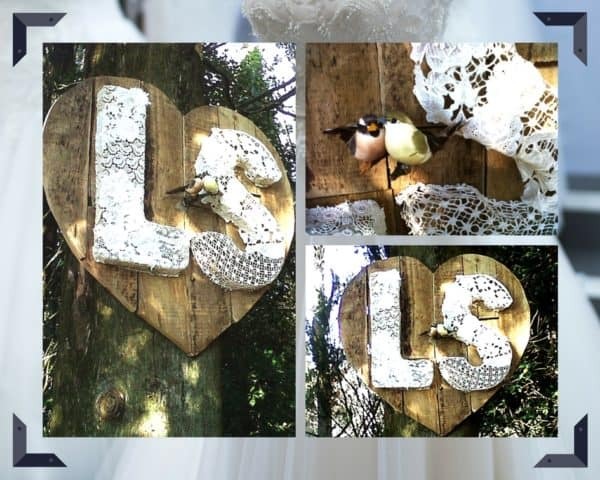 Upcycled Pallet Wood Wedding Decor. Upcycle old lace, including those doilies, to make a stunning focal piece for that wedding or anniversary celebration. Pallets never looked so lovely! Upcycle those empty heart-shaped chocolates & sweets boxes into a super-cute shadow box. You give them those candy boxes, but now you can upcycle them into smart shadow boxes. 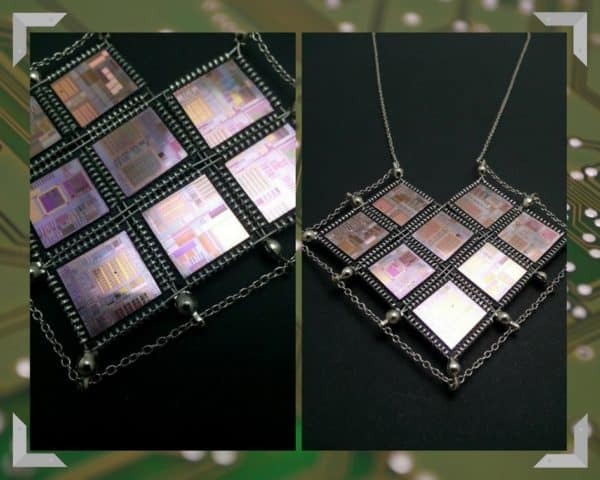 High-Tech Heart Jewelry for that special geek in your life.